The World Expo, continuing the tradition since the first Great Fair in 1851, will be “a key meeting point for the global community to share innovations and make progress on issues of international importance such as the global economy, sustainable development and improved quality of life for the world’s population." 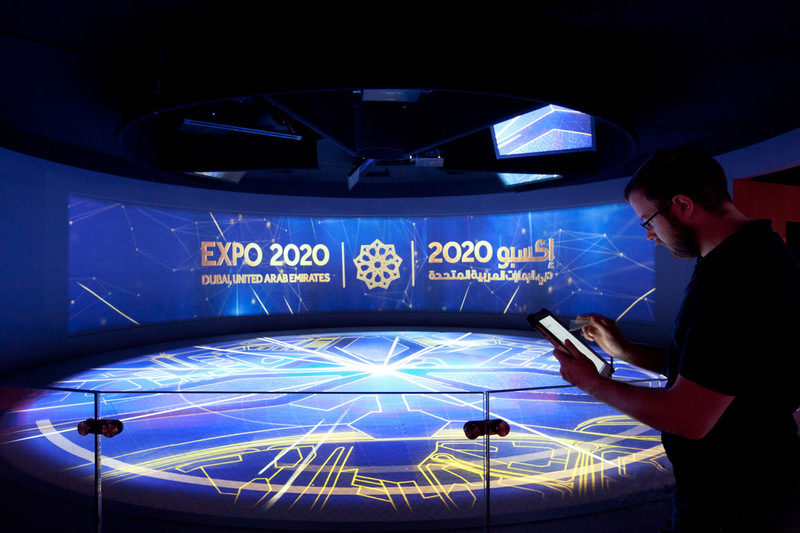 Dubai 2020, which will present the theme Connecting Minds, Creating the Future, will be the first time the World Expo is staged in the Middle East, North Africa and South Asia (MEASA). 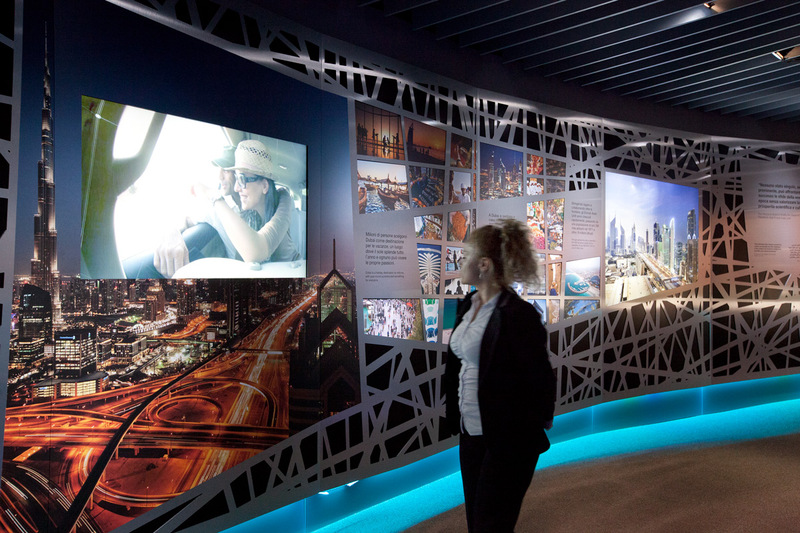 In the 2020 exhibition space - situated within the UAE Pavilion at Milan Expo 2015, but separate from it - a dramatic film presenting Dubai as the host city for the next World Expo was projected onto a curvilinear rear wall and with perfect accuracy 3D-mapped onto moving surfaces below. 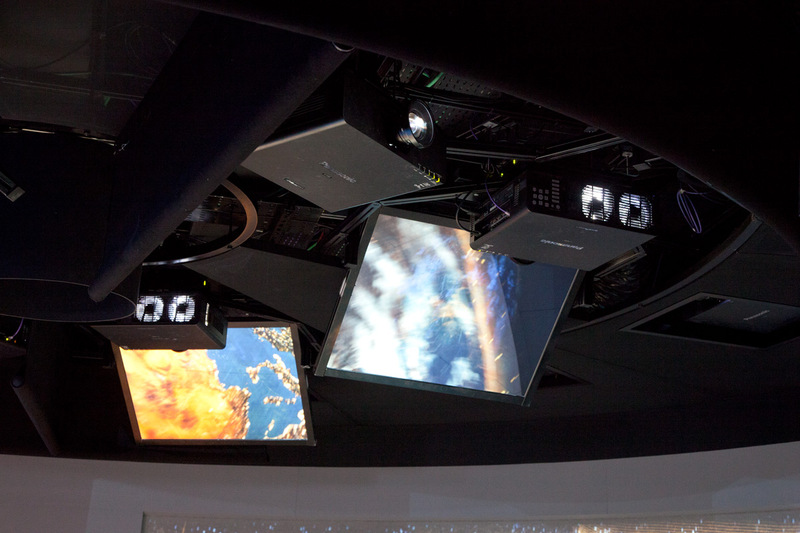 Lights and surround sound completed the polished impression of a city showing off its capability as a world-class exposition venue.